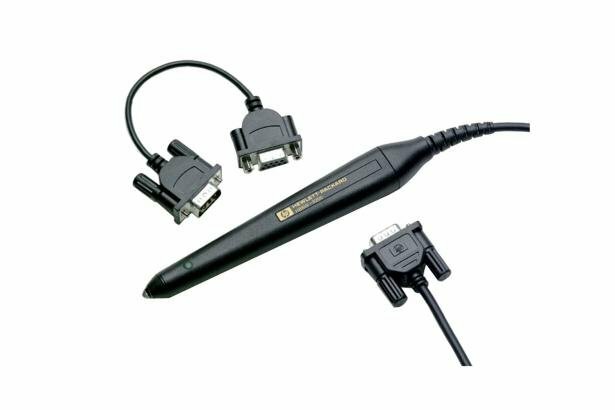 Description: This Hewlett Packard HBSW-8200 Bar Code Wand reads eight common bar code symbologies. Code 39, Interleave 2 or 5, UPC A and E, EAN 8 and 13, Codabar, Code 128, Code 11, Code 93, and MSI Code. Programmable via bar code labels or escape sequences. LED indicates when a bar code has been correctly decoded. Resolution, 0.19 mm. Usable from -20 °C to 65 °C, in ambient light to 100,00 lux. EMI compliance per FCC part 15 Class B. ESD immunity, 25 kV. Application: Supports the scanned entry of procedure identification, tag ID, serial number, and operator ID to a Fluke 743 Documenting Process Calibrator. Instruction sheet in English, French, German, Italian, and Spanish.